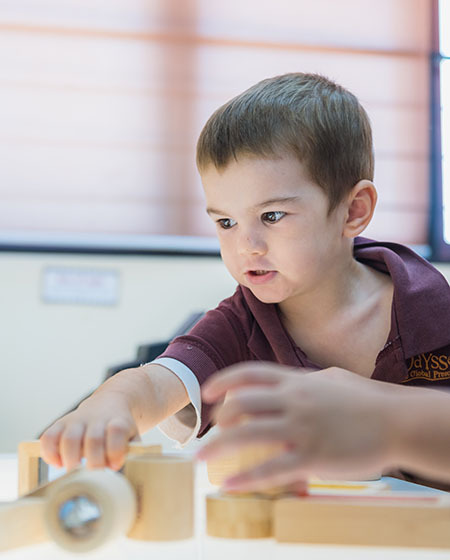 In the Preschool years, emphasis shifts from emergent strategies of the early years to purposeful acquisition and understanding of content, skills and concepts. Children’s developing language competencies are more visibly used as tools for communication and for learning content and concepts. With increasing maturity of their physical competencies, preschool children are able to take on greater challenges in physical pursuits, and engage in more sophisticated pre-writing and writing experiences. Expectations for self and social development are prioritized resulting in even greater autonomy and independence, enhanced self-help skills, emotional self-regulation, self-concept and confidence. 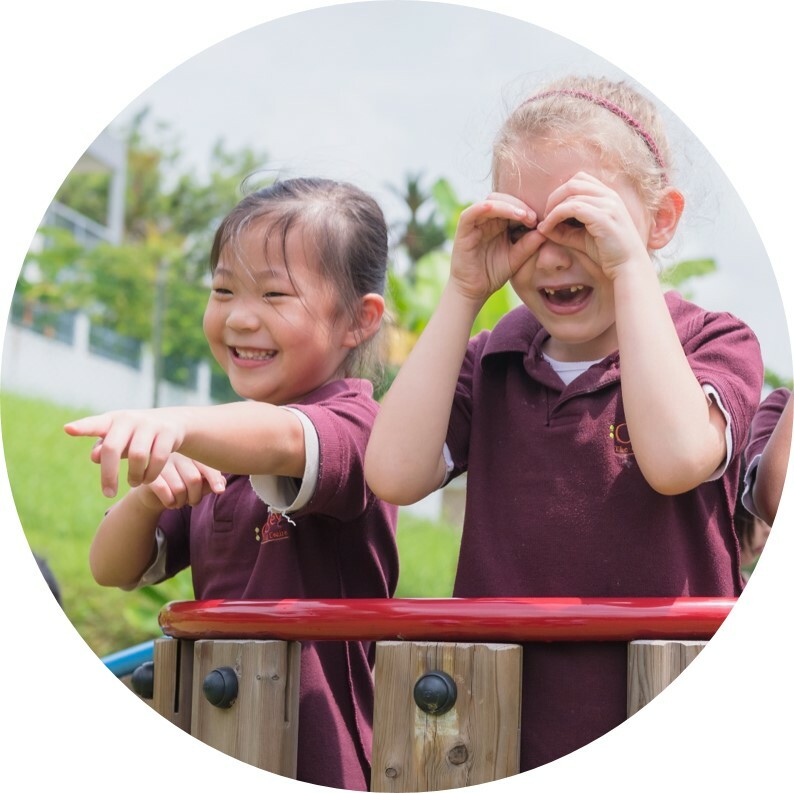 Our Preschool programme promotes children’s interests and their natural quest for knowledge; leading to experiences in problem solving, inquiry, investigation, discovery and active hands-on explorations. In the Preschool years, learning is naturally more structured and integrated across multiple disciplines to meet expectations for holistic goals, development of life skills, dispositions and attitudes, as well as academic achievements. Preschool curriculum promotes constructive and cognitive, process-oriented strategies that encourage children to be curious, reason and problem solve, develop inquiring minds, think critically and creatively, and develop a lifelong desire, passion and love for learning. Project work engages children in initiating, selecting and exploring topics of interest for inquiry, leading to construction of new knowledge. Listening and responding to instructions and communication in Chinese, and learning the skills of the language through immersion in real world events and interactions. Learning and acquiring literacy skills – print concepts, writing and spelling conventions punctuation, sentence construction, word skills, phonetics and reading through Phonics (Letterland) and Literacy Workshop. Art Odyssey, Music Odyssey and Fitness Fun are implemented as core creative curriculum experiences. Little Chef, Outdoor Learning Experiences (OLE) and Emotional Cultural Quotient (ECQ) Literacy are planned as inquiry and creative projects that promote children’s aesthetic, creative, life skills, social emotional and naturalistic experiences. Learning and acquiring mathematical skills and concepts through inquiry-based and constructive strategies based on a pre-determined developmentally and progressively structured scope and sequence that provides the breath and depth of learning across age groups.